You can easily animate a graph with the Dynamic Graphing mode. While I'm describing this procedure for the fx-CG50, I'm pretty sure it is available for the earlier models such as fx-CG10, fx-9750GII, and fx-9860GII. Specifically, you can dynamically change a single variable between two points with a specified step. For example: y = A*x where A varies from 0 to 5, and its step is 1. 1. Enter Dynamic Graph mode. On the fx-CG50, press [ MENU ], [ 6 ]. 2. Type and select an equation. The equation can be a function, a set of parametric equations, a polar equation, or on newer calculators, a shaded inequality. 3. Press [ F4 ] (VAR) to take you to the variable screen. Select the variable you want to animate. You can animate any variable A - Z and θ. 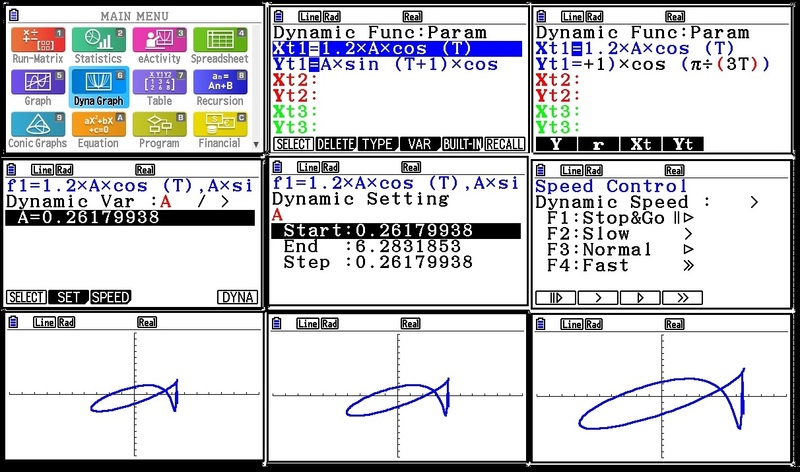 Keep in mind that X is used for functions equations, T is used for parametric equations, and θ is for polar equations. 5. Press [ F6 ] (DYNA) to start the animation. To stop it, press [ AC ]. All original content copyright, © 2011-2019. Edward Shore. Unauthorized use and/or unauthorized distribution for commercial purposes without express and written permission from the author is strictly prohibited. This blog entry may be distributed for noncommercial purposes, provided that full credit is given to the author. This review is for the current version (Version 4). I was emailed by the programmer Roberto A. Campusano when the latest version is now available. The SciPro Math has two modes. If your Apple device (iPhone, iPad, or iPod Touch) is in the portrait position, it is a simple, four function calculator. If your Apple device is in the landscape position, it is in the scientific calculator. 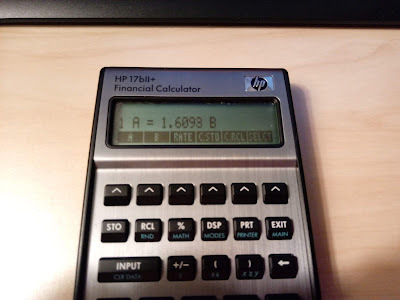 The calculator runs in Chain mode. Therefore, there is no algebraic preferences or parenthesis. It could get a little used to if you are accustomed to traditional scientific calculators, but not a big deal once get a hang of it. If you are used to regular four-function calculators, you should feel right at home with the operation of the SciPro Math. The rest of this review and blog will assume that you are working in scientific calculator mode (landscape). The calculator has five modifier keys: [ 2nd ], [ 3rd ], [ rad (off), deg (on) ] (4th), [ 5th ], and [ 6th ]. The modifier keys act as toggles, and depending on whether they are turned on and off, determine what keyboard is present. You can quickly access any keyboard by entering the keyboard's number and pressing the purple [SC] key on top of the app. Think of the modifier keys as "binary powers of 2:"
Any total of flags that exceed 24 shows the 24th keyboard: Storage Space keyboard. Here you can access 26 memory registers Av through Zv. A lot of the keyboards is a dedicated solver for a specific application. I will go over some of the details later but in general, the keys that belong to a calculation are all grouped by colors. In general, in a color group if the key has the format [ var.app ], that is an input variable. Input the value by typing it, pressing the indigo [ →(X)v ] store button. If a key has an equal sign at the end, [ var.app= ], that is an output variable. Press this button to get the answer. One of the things that I wasn't crazy about in my previous review was the lack of documentation. Thankfully, this has greatly improved. First, the app will give prompts of what each key does. The prompt will appear in indigo on the upper right hand screen. I find this super helpful when learning how to use the app. Second, the app has its own YouTube channel, SciPro math. The videos, by Roberto Campusano explain on how to use some of the applications in a clear, concise fashion. If you are using this app for the first time, I recommend going over the videos. The functions of sci, csi, and bta are specialized. s(x) and t(x) contains this form. I'm really happy with this updated version of SciPro Math, the online prompts make a huge difference, and the how-to videos are top notch. Also, the operation of the calculator is simple and is good for quick calculations. This app is worth looking into and now I see the justification of spending the $9.99 on this app. Note: comments (after !) are for notes, and do not need to be typed. If G>0, the hill is at an elevation. If G<), the hill is at an depression. 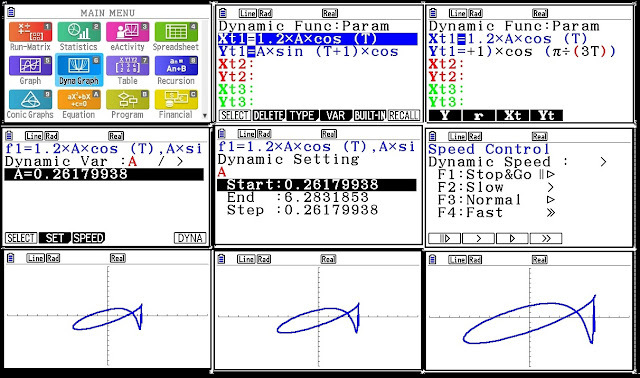 This program uses Newton's method to get the first root, then divides the polynomial by (x - root). Finally the quadratic formula is used to find the other two roots. This program assumes the coefficients A, B, C, and D are real. An initial guess of 1 is used (can be changed, see line 710). This program collects six random digits from 1 to 63. The results are stored in an array N. The dimension pointers of the TI-74 are from 0 to n-1. This program uses READ and DATA to execute a teaching script. 310 DATA "To Solve: a*x + b = c"
312 DATA "a*x + b - b = c - b"
314 DATA "a*x = c - b"
316 DATA "(a*x)/a = (c-b)/a"
318 DATA "x = (c-b)/a"
1. Enter data. Use M, R, or V to enter data. When done, press C to solve. 2. Choose which variable to solve for. I just want to give a big shout out and thanks to each and every one of you. I am happy and fortunate to share my love of mathematics and calculators with all of you. 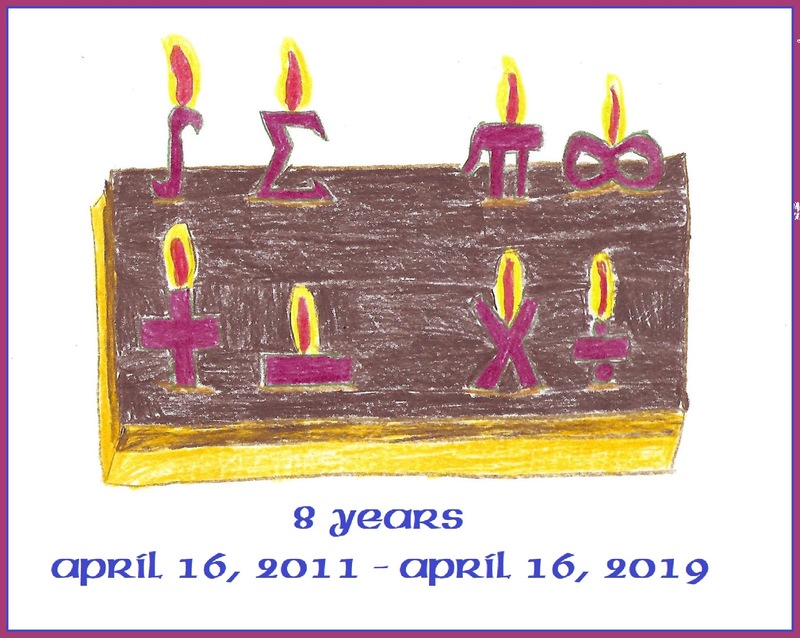 Here's to many more years, readers! Have fun! See you all next week! I am demonstrating this technique on a Casio MS-80TV, however, this can apply to any desktop calculator which exchange rate functions are offered. This includes the Casio MS-6CO (where the keys are labeled METRIC|CONV) and Casio MS-80B. 1. Set the calculator to Exchange Mode. Press [MODE M/EX] until EXCH appears in the display. 2. Press [ AC ] then hold [ % ] until the display refreshes. The display will then say SET. 3. Select the exchange memory rate you want to set. C2, C3, some models have C4. 4. Enter the conversion rate. You can include up to six significant digits. 5. Press [ % ]. 6. 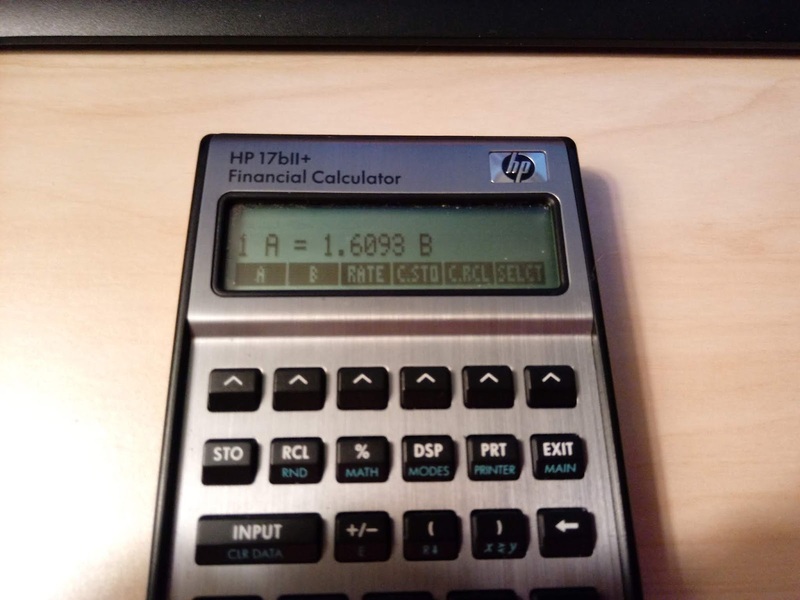 Press [ AC ] to clear the calculator. This applies to the revised HP 17BII+ series, not the original. 1. From the main menu, select (CURRX) (currency conversion mode). 2. Press (SELCT). At the prompt "SELECT CURRENCY 1", choose a currency name. I suggest A [ ( MORE) (MORE) ( A )]. 3. Press (SELCT). At the prompt "SELECT CURRENCY 2", choose a currency name. I suggest B [ ( MORE) (MORE) ( B )]. 4. Enter your conversion rate. 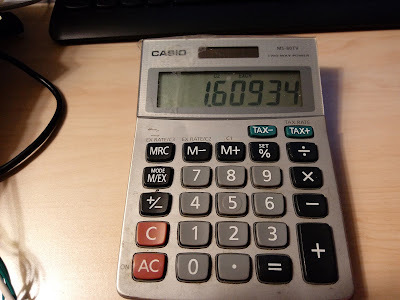 Unlike the Casio MS-80 series, there is no limit to the number of significant digits you can enter. Press (RATE). If your labels (currencies) have already been set, you can skip steps 2 and 3 and instead, enter the conversion rate and press (RATE). * or whatever the labels you designate. ( A ) is on the left, ( B ) is on the right.